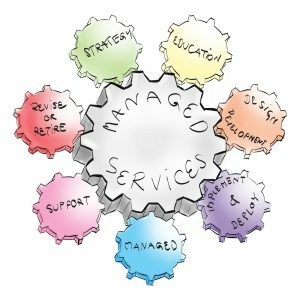 Managed Services is not a new concept to IT departments as it has been around for over 10+ years. Finding a company whose business focus is decommissioning healthcare systems that also offers managed services, is something new. OLAH Healthcare Technology is that company. Olah Healthcare Technology is unique in our approach to helping hospitals retire legacy computer systems. Our company’s entire focus is on helping healthcare companies decommission legacy computer systems. If your legacy system decommissioning backlog is in double digits, you may want to consider a company that provides managed services to eliminate this backlog. With OLAH managed services we will work as an extension of your healthcare organization, incorporating your processes and controls, and will always remain focused on eliminating your backlog. Managed Services allows hospitals and medical organizations to outsource the tasks of decommissioning your legacy computer systems in full compliance of your organization’s operational, privacy, data-retention and business continuity processes. By outsourcing these services to OLAH Healthcare Technology, you can focus your own resources on your core competencies, and have access to a team of seasoned healthcare decommissioning experts. It is common for OLAH’s Decommissioning Services to cost less than your current annual maintenance fees. When you sign up for OLAH’s Managed Services Offering, you not only get an incredible ROI, you get predictable low monthly fees, OLAH’s expertise, and the ability to decommission more systems than you could have ever imagined. Unlike our competition who focus on billable hours, OLAH’s goal is to decommission your entire inventory of retired systems faster, more secure, at the highest quality and deliver you the best ROI in the industry. OLAH Healthcare Technology’s managed services always starts with a comprehensive review of all of your current and planned legacy system inventory. We help you quantify the total costs of maintenance, and perform risk assessments of these systems in their current state. We then help you group and prioritize the decommissioning of these systems so that you decommission more systems in the least time and costs in OLAH’s Decommissioning Factory.